The idea of a Lego movie seems so simple. There’s a world where Lego characters can talk, have adventures, and that’s it. Well, 2014's The Lego Movie blew that notion away by introducing both a Lego world and a human world. Now it seems, with The Lego Batman Movie, that’s just the start of an intricate Lego Cinematic Universe. 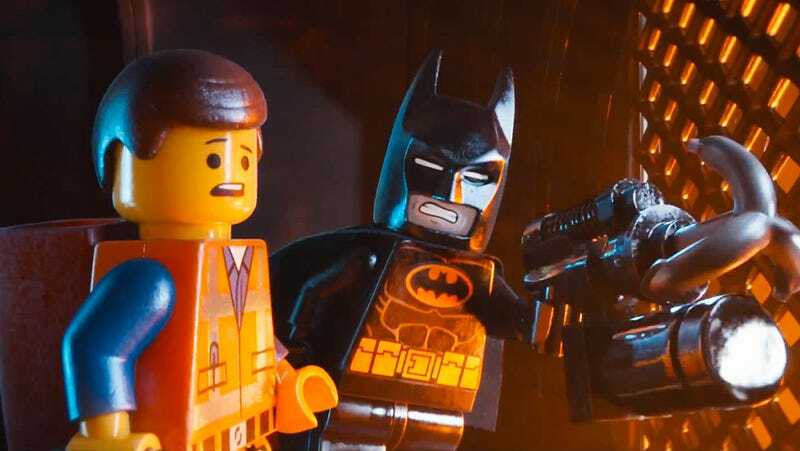 Speaking to Entertainment Weekly, Lego Batman Movie director Chris McKay explained that all is not as simple as it seems in the world of the film. This does dive into minor spoilers so, if you haven’t seen The Lego Batman Movie, be careful. While the first Lego Movie explicitly shows the human world, The Lego Batman Movie does not. There are winks at it, though, such as the fact there’s a giant void below Gotham City, but it’s never explicitly stated. McKay has now confirmed that this is the same world. Everyone says this, but for lack of a better phrase, there’s a LEGO cinematic universe that we’re building that has a sci-fi premise, as far as the world that the movies are taking place in for the majority of the running time, and the other world that’s out there. I think over the course of the movies, we’re building out the relationship between those. There’s no mandate necessarily to do that, but we are very actively working to find all of the rules and develop that relationship between the real world and the LEGO world. You’ll start to see it in what we’re doing with Ninjago and what we’re doing in LEGO 2. So yes, if you hadn’t already made the assumption, The Lego Movie and Lego Batman Movie take place in the same universe with humans pulling the invisible strings. A world that will become more intricate as the next two films in this burgeoning cinematic universe, Ninjago and Lego Movie 2, get released. This also means that events in The Lego Batman Movie have a direct line to what’s next for the characters. There’s definitely a part for Batman in LEGO 2. Everyone loves Will Arnett and the Batman character. There are going to be the repercussions of what’s happened in [LEGO Batman]. If you agree that he went through some change, there’s more stuff in store for Batman in LEGO 2. I guess that means Batman’s new family will play a role? How will Emmet and Wyldstyle deal with that? We’ve got about two years until we find out. It’s refreshing that the filmmakers behind the Lego films are working this way. Yes, this is a new cinematic universe—but no, they aren’t going to explain too much about it. We will see in due time. And knowing the meta-levels the first two Lego movies went to, who’s to say the idea of two worlds is really the end? The Lego Batman Movie is now in theaters. The Lego Ninjago Movie is out September 22 and The Lego Movie 2 is currently set for Feburary 8, 2019.